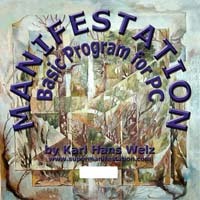 abstractions made permanent, formerly "radionics"
Since you have purchased a device from HSCTI or BEC, chances are that have read our web sites and therefore I can assume that you are pretty much aware of that which follows, and you can proceed to the next section of this guide of how to use the devices. In the following, I am going to introduce you to a new look at a method of achieving action at a distance, in which numeric values and sometimes frequencies are used to establish structural connections with targets of an operation, such as persons, groups of persons, locations, etc., and/or structural connections with desired effects, or trends, which we intend to activate at the target location of the operation. This use of numeric values and/or frequencies has been called “radionics” in the past. Therefore we decided to use this word for the reason of convenience, even though the possibilities of our new technology by far exceed the rather limited potentials of that which generally is called “radionics.” If you wish so, call it an advanced radionics. 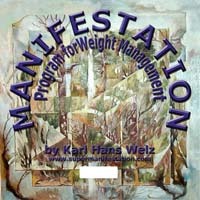 In principle, use the word, “radionics,” whenever we are using methods of achieving AAD, in which, among other approaches, we also are using numeric values for the purpose of solidifying abstractions and thus turning abstractions into a trend energy, which lasts unchanged for a specific period of time. The main line of our devices are pure chi Generators, i.e., they generate exclusively life energy: JU series, LPOG series, Ce and AO series (water optimizers) PCHD and Performer. You can add specific setups to generate trends towards desired effects in order to help you manifest your desires, and these setups include the manifestation programs and the reality boost programs. Another line is designed to do what programs and other setups are designed to do: To solidify abstractions of your desires. 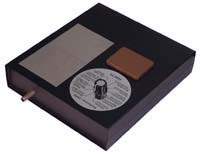 In connection with the pragmatism that we exhibited in promoting the devices, we used the term “radionics” for this, and the devices are designed to somewhat reflect this method that has been introduced at the beginning of the 20th century. Here I want to be perfectly clear, that this has nothing to do with radionics that has been developed for healing purposes. As I mentioned already previously, the introduction of this word, radionics, and the structuring of the devices accordingly was a quite useful step of my pragmatic approach to generate the political will in specific target groups so that they can accept my inventions, from which level I could then progress to the next group of persons. To the folks who may not like this approach: very likely they liberally use the term “elements” when referring to chemical elements, being entirely oblivious of the fact that this word, “element,” was originally used to describe something that had nothing to do with the chemical elements, namely the “four elements” of water, earth, air and fire as used by alchemists. I suggest that those folks overcome their rather pathetic attitudes of being outright hypocrites. What’s good for the goose should also be good for the gander! The line of devices are the RAD series – devices with which we can set up representations of numeric values, are the 1000 – 2000 – 2400 HD – 5 (describe) and the ATGS 3000. In fact, there is something in common with radionics as is, and this is something that some of the typical radionics gurus who stick to the more traditional rules and regulations of what they call a science do not like to hear. It is the technology of making use of the human capability to abstract, and to make such abstractions a more permanent, solid or fixed affair rather than simply let the human brain wander around and getting no results. Abstractions of wishes, trends, or desired effects that are made permanent can be projected at any situation, any person, and this can be done at any distance. Again, there are similarities with that which the followers of traditional radionics are promoting, and yet my explanations differ significantly from their attempts to generate a theory of their practice. In fact, my explanations do not only include abstractions that are made permanent, lasting and therefore effective with the help of numeric settings of dials alone. 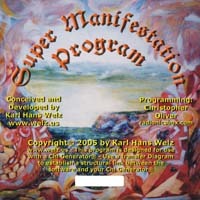 In fact, this is the same CFP used in the design of symbols, the introduction and use of mantras and of any other physical representation of human abstractions in order to give them some permanence and to project these solidified abstractions then at any distance, to any person, location or group of persons with the help of life energies. The persons who have studied my web sites know what I am talking about. Therefore, that which what I am calling radionics is way beyond the concepts of the more traditionally thinking followers of the rather new method of traditional radionics. With the help of this exciting new technology we are making now use of the human capability to abstract; and then we can render these abstractions into a permanent state and as such we can attach these permanent state abstractions as trend energies to any target. Likewise we can or solidify a structural link to a target, which in itself again is perceived in the form of an abstraction, and we can establish a connection to the actual target with the flow of life energy that makes possible Action at a distance. I am going to talk more about this in the following sections. We can think of this type of AAD, which I have decided to give the name of radionics, as a technology of interaction with the mind and its capability to abstract, and with the help of this technology you can act upon people, groups, living beings, and situations at any distance, and you can achieve this influence with the help of life energy and structural links that you establish with the help of numeric values, and our radionics devices are the equipment that you can use to achieve permanence of these structural links for as long as you desire to do so. The next thing to do is to explain, of course, what I mean by “structural links” and how these structural links can be used in action at a distance. In fact, it is quite obvious that the question arises how it is possible that you, in fact, can produce an effect at a distance. Well, if we look at this a bit closer, we realize soon that to generate an effect at a distance is something quite natural, and there are quite a few things in nature that point towards this as a capability of practically all living beings. Now, to get a bit of an understanding of how this works, think of a radio. Obviously the radio is not connected to the radio station by a wire, and yet the radio station can generate an effect in the radio by transferring news, music, commercials and whatever else. This is a well accepted fact in our days. Now think ... if you had mentioned a century ago that such a thing was possible, you would have had the “skeptics” of the day ridicule you, even trying to destroy your reputation or put you into the funny farm, especially when they had ties to vested interests that, for whatever reason ever, commercially and especially religious, did not desire innovation! Meanwhile humankind has progressed a lot further than wireless Morse codes and radio. It is a similar situation with action at a distance in general and radionics in particular. For more than 100 years it exists by now and it has been ahead of its time since then, yet the political will for this innovation is still missing as far as the majority of “modern humans” are concerned, and the “skeptics” or our supposedly “enlightened times” have still their heyday! By the way, many of these “skeptics” are the same idiots who are claiming that “the laws of physics are the same throughout the universe” without ever having been capable of furnishing proof, since humans barely left the stratosphere of their own puny planet. Obviously a lot of those folks seem to have a few black holes too many in the area where their brains are supposed to be. Naturally, it is your personal attitude that ultimately is the decisive factor when it comes to enjoying the benefits and advantages of this extremely powerful new technology. After all, tasting the difference in water, using double-blind experiments, we could achieve a significantly higher success rate (over 95%) than many pharmaceutical corporations are capable of getting when testing the effectiveness of new drugs.